My sophomore year of college, I spent one term studying in Hawaii. Tough life, huh? It was fantastic! We spent the term hopping from island to island, having class on the beach (in our swimsuits), and looking for high rocks to jump from into the ocean. That last one was our #1 goal, and we succeeded mightily. Aside from all of that, we also spent a lot of time trying new foods. I, having never been to Hawaii before, had no idea what a culture Hawaiians have. Every state has it’s own special flavor in some way, but Hawaii takes the cake on having a unique culture. I suppose learning about the history (which is an awfully sad story and does NOT make the United States look charming) highlighted this for me in a way I wish all Waikiki tourists could see. Back to the food. You can’t go wrong with a culture surrounded by the ocean – fish will win me over in any situation. Especially if it’s raw, cut into cubes, and seasoned with something delicious. Poke, as the aforementioned food is actually called, is without a doubt my favorite food. It’s creepy to look at and try the first time, but SO worth the gross-factor. It’s buttery and smooth, with a flavor unlike anything else. I suppose I should be saving this rant for a time when I make poke for you all, but I can’t talk about Hawaii and not talk about poke! While I was in Hawaii, I believe on the Big Island, we went into a store that blew my mind. My memory might be slightly skewed, but the way I picture makes me so happy: A little white store with walls lined with curd. All the walls. All kinds of curd. Passionfruit curd, lemon curd, lime curd – and about a million other flavors of curd I wish I could remember. Even better, they were in cute little glass jars! CLEARLY, this store affected me. I bought a few jars and probably ate them in a hot second when I got home – either with a spoon or on toast (as curd should be enjoyed!). 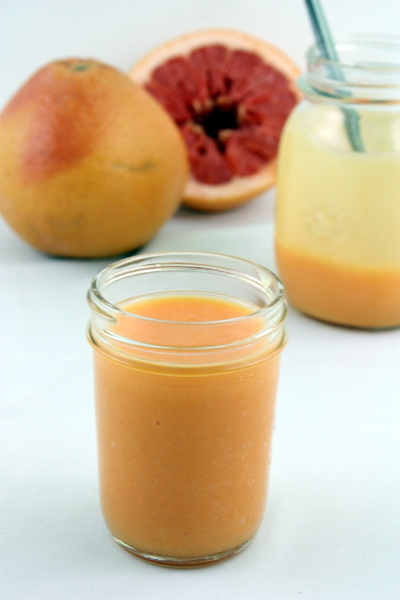 Fast-forward a few years, and here I am wondering what to make next when it occurs to me: GRAPEFRUIT CURD. I felt pretty accomplished, even though I am certainly not the first person to do this, because I really hadn’t ever considered making it before. Let me tell you something: It was Earth-shatteringly good. I snuck a little spoonful as I was mixing in the final bit of butter and nearly died of happiness. Then I realized I’d made a huge mistake in letting myself do that, as I ate many more spoonfuls directly afterwards. Whoops. I have a hard time not eating this by the spoonful, but if you have more self-restraint than I do, try this on toast, between cookies, in your oatmeal, in a cake, in a tart, between macarons – or just stick with the spoon. Combine the juice, zest, sugar, and yolks in a saucepan. Cook over medium heat while stirring constantly with a whisk or spatula. Cook until the sauce thickens, enough to coat the spatula or the back of a spoon. Remove from the heat and add the butter one piece at a time, stirring until fully melted between each piece. If it needs it, strain the curd again before storing it in a jar or using for your designated purpose. Allow to cool fully if you want it to firm up. What an ingenious idea!! I love grapefruit and curd so much. 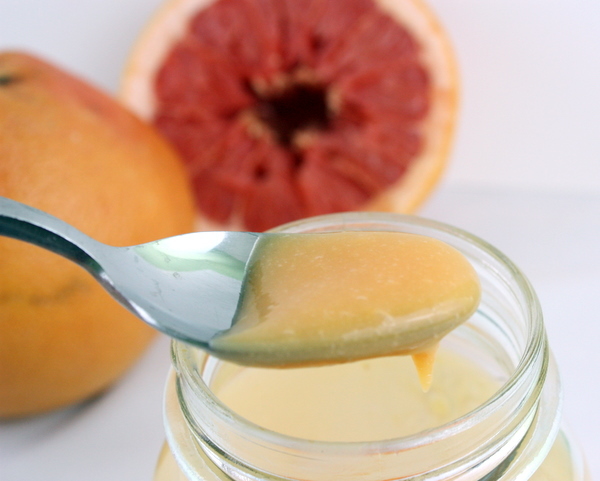 I once made the BEST lemon curd ever using maple syrup as the sweetener – it was SO good!! Ive just found your blog and I love it! 🙂 And how cool that you got to live in Hawaii. This is absolutely gorgeous and so smart! 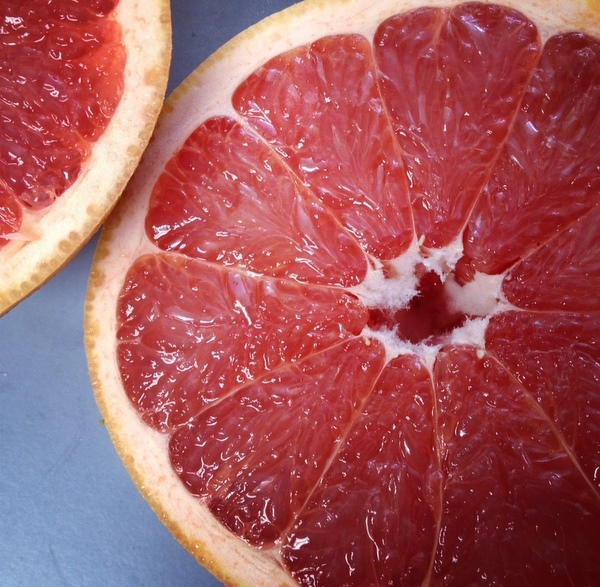 I love the shot of the grapefruit on the gray background – beautiful! Thanks, Jamie! Your photography (and recipes!) have definitely taught, and inspired, me a lot! 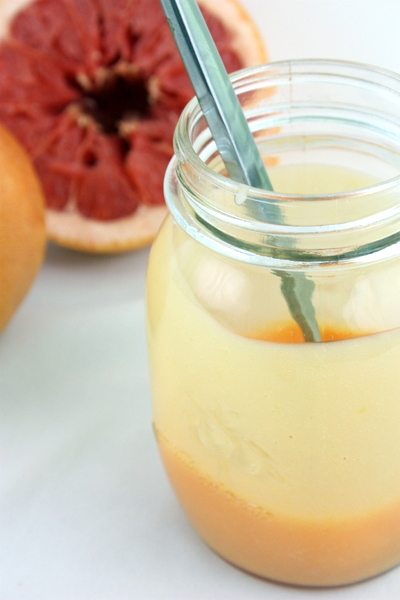 I never thought to use grapefruit to make curd – I bet it is delicious! I am definitely bookmarking this recipe 🙂 Thanks for the inspiration. I am in Maui now! About to make some pomelo curd! Thanks for the recipe! Will this curd really firm up enough to hold its shape in a tart? It does firm up! It isn’t “firm” like jello, or something of that nature, but it isn’t runny!